I am ready for spring…my flowerbeds are not. Although this bed by my back deck has the most snow out of all my flowerbeds. 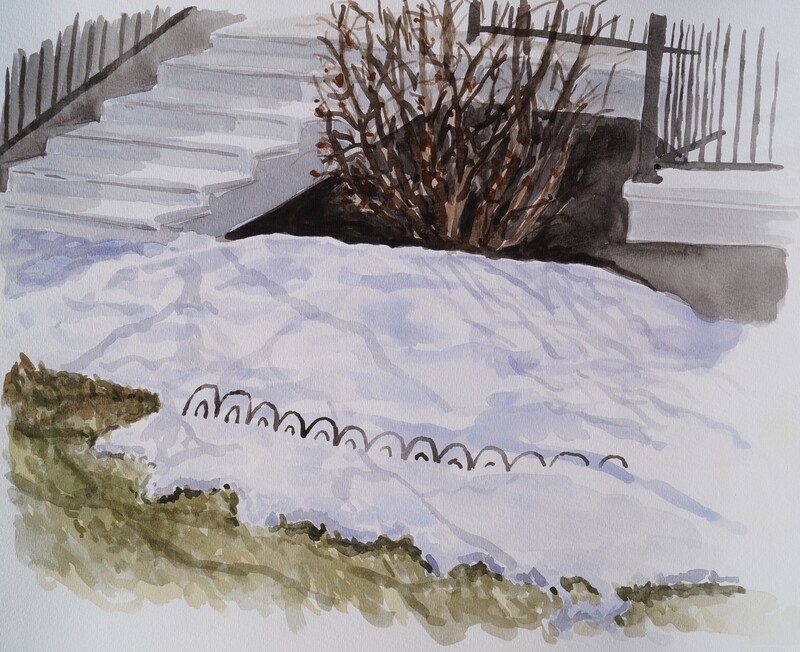 Despite how much snow is still around here and there, it is a gorgeous day–it was very comfortable painting outside today. I think I might go back out now, putter around, and look for any flowers coming up.